Jet Penguin! – Games for Android 2018 – Free download. Jet Penguin! 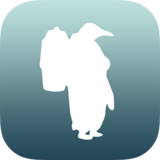 – Funny penguin platformer. If popular movie culture has told us anything, some pretty epics things will happen if you give a penguin a jetpack or any other spy gadgets. Jet Penguin! 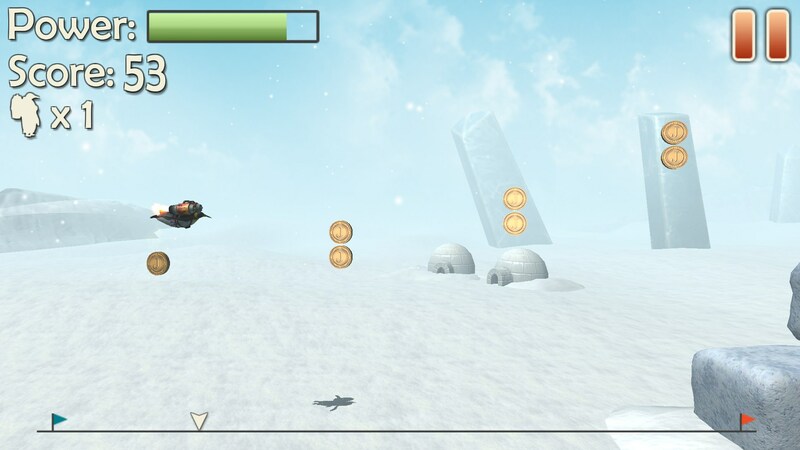 for Android proves that penguins know what they are dealing with when it comes to using jetpacks. 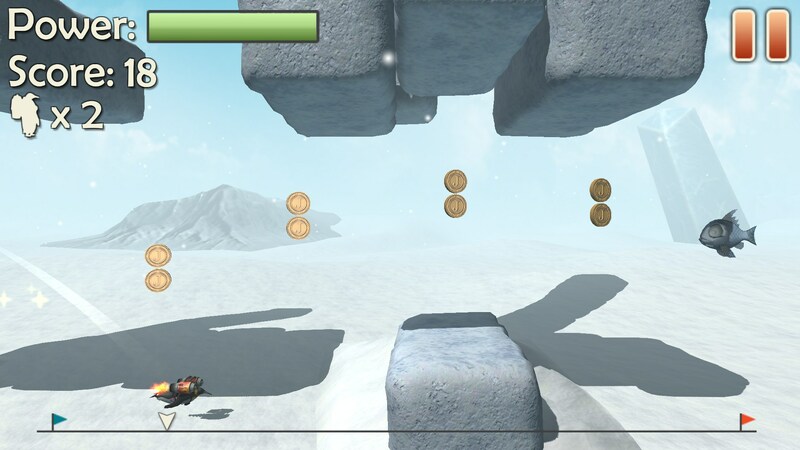 This game is a little like a platformer in that you must travel past obstacles to get to the finish point of each level. 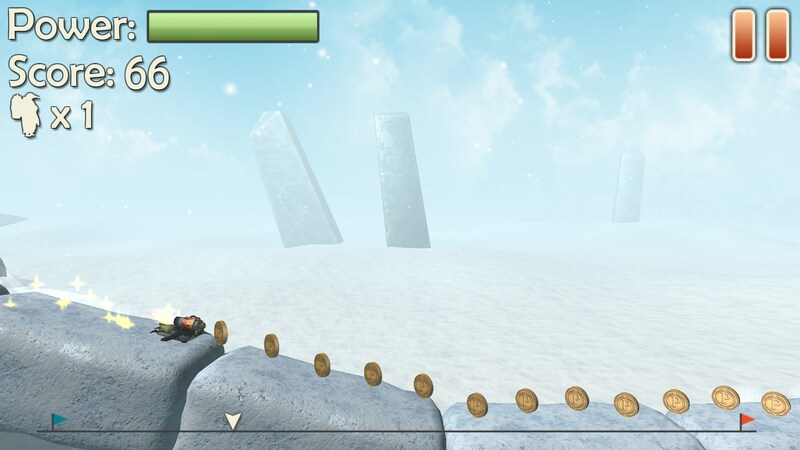 If you die, you can restart at the beginning of the level or at any checkpoints you have reached in that level. The difference is that there are no monsters or bosses to deal with. 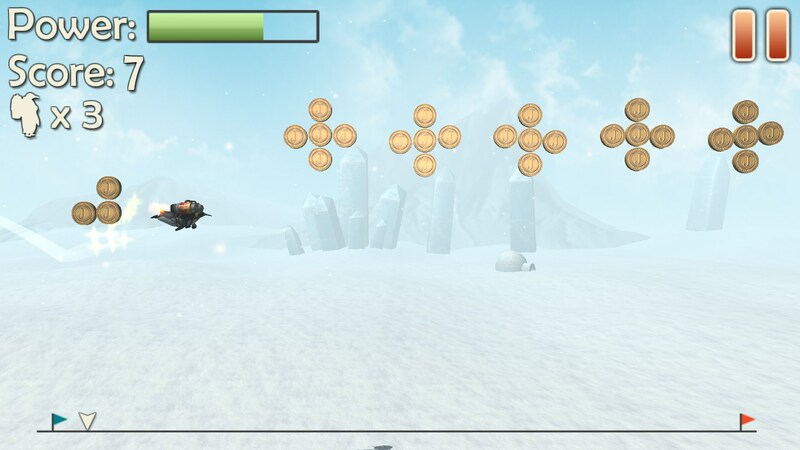 Instead you must use expert jetpack and belly sliding skills to launch your penguin past big ice structures. 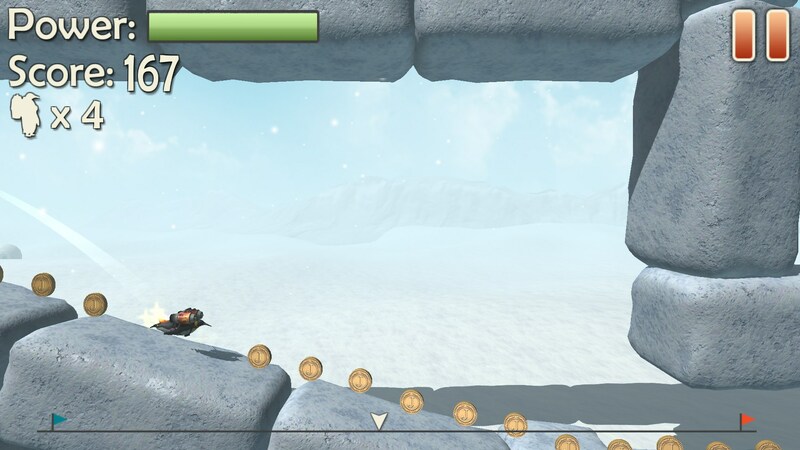 If your penguin hits into a wall he will die, so you'll need to learn to use the game mechanics properly. Whilst you can use the jetpack to keep the penguin in the air, the fuel only lasts a short time before it needs to be recharged on the ground, and at this point you can use penguin belly sliding to cross distances. The difficult part of this game is clearing large jumps when you have little fuel to use. 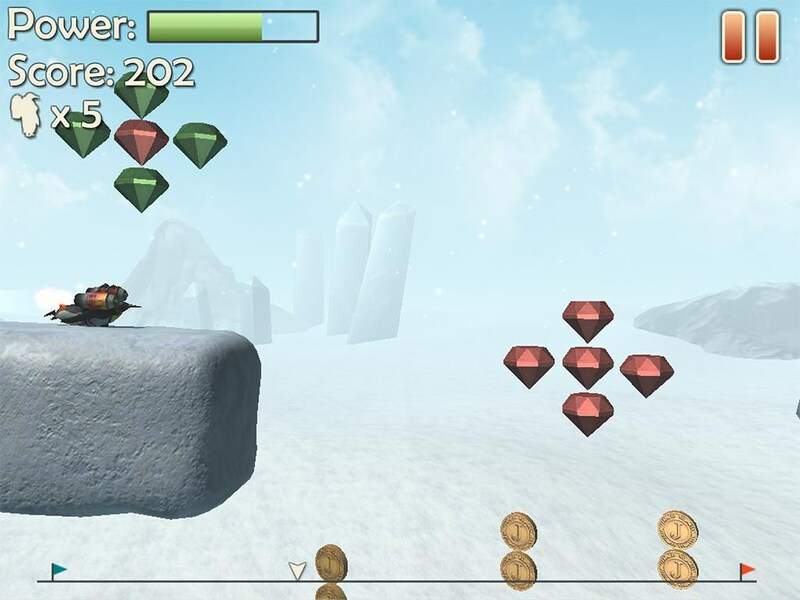 There are also lots of coins and gems to collect in each level, and you will be given a one to three star rating at the end of each level and this is dependent on how many items you collect beforehand. I really like the photo-realistic graphics used for this game - the level design is great and the penguin looks super smart in his new jetpack. Jet Penguin! is free, but there are adverts and in-app purchases in this app.